It is important to have sharp tools when you are building your paddle board. Scary Sharp is a style of sharpening hand tool blades that uses abrasive wet/dry sandpaper in place of the traditional oilstone or water stone. The abrasive paper is placed on a rigid and flat surface to create the sharpening surface. You can use a sheet of glass, marble tile, MDF or pretty much anything else that is flat. The fixing method is normally by means of surface tension if the paper is wet (I sharpen dry), removable spray adhesive or simply by using adhesive tape. I have found that holding the paper with my left hand and the honing guide with my right is fine. The benefits of the scary sharp system are speed and cost. 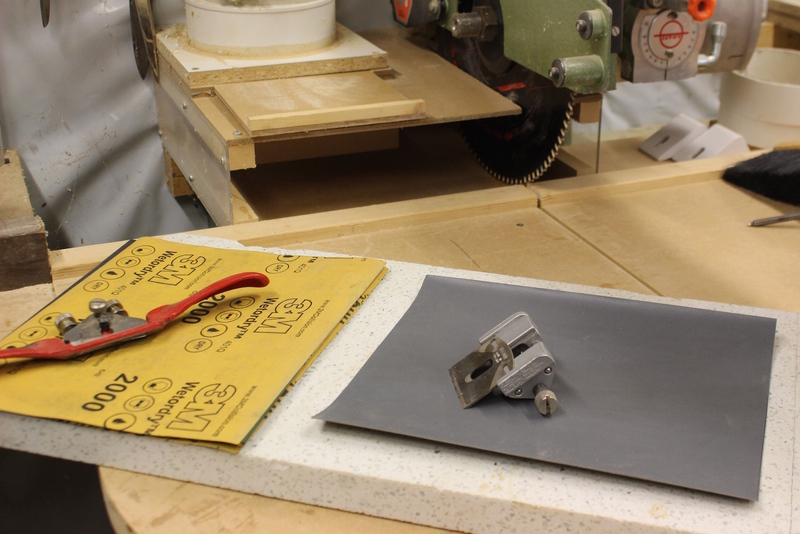 Anyone with sandpaper and a reasonably flat surface can sharpen any cutting tool with excellent results. Unlike traditional methods that utilize sharpening stones and skill, very little skill is necessary. The honing guide accurately holds the blade at the correct angle and all you have to do is draw the blade over progressively finer grits of abrasive paper. I keep a series of wet dry papers in order: 400, 600, 800, 1000, 1200, 1500, and 2000 along with a granite tile. It takes only a few strokes at each grit to have a “scary sharp” edge on your tools.